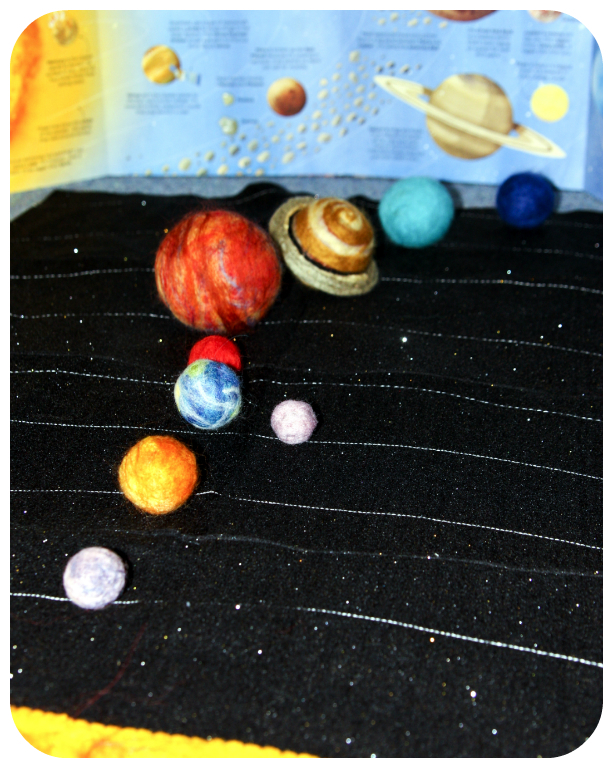 Frog in a pocket: Solar System learning - felt mat and 3-part cards. 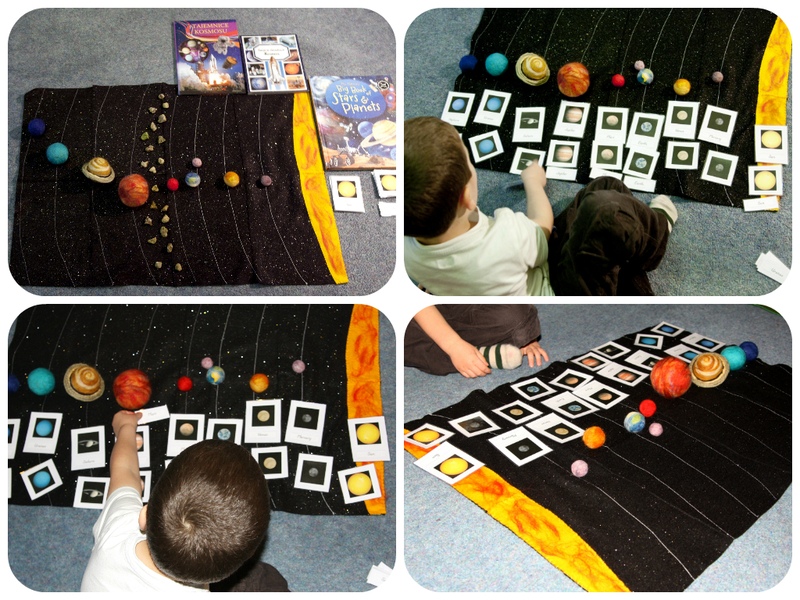 Solar System learning - felt mat and 3-part cards. 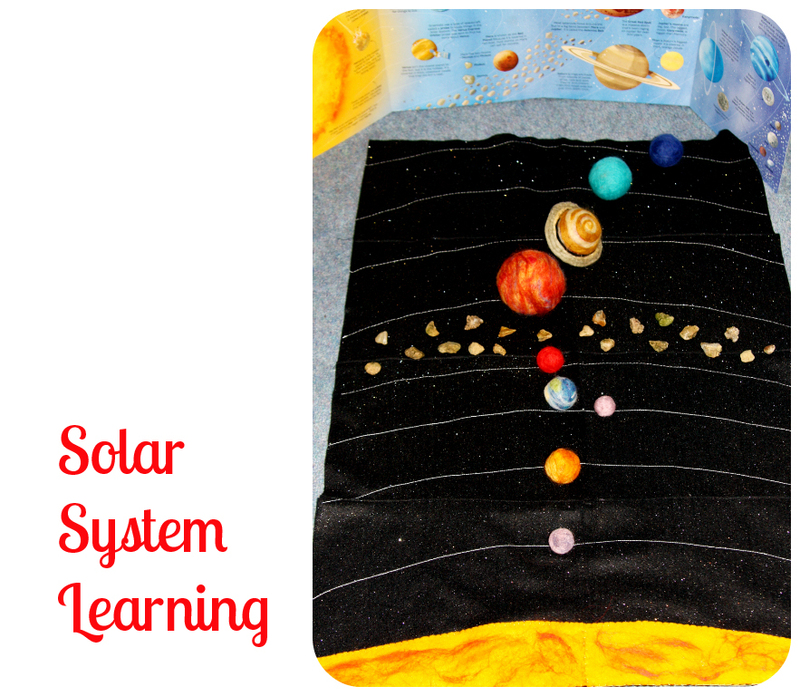 I made a Solar System Mat that can be use to learn and play. I used the black glitter felt sheets (but it can be black card stuck together as well). I added the needle felted planets (If you can't do needle felting don't worry - these can be easily made with styrofoam balls painted with acrylic paints) and some stones as asteroids. The mat is very useful for learning. Mr Frog uses the planets to match them with 3-part cards (kindly shared by Imagine Our Life) and puts them in a correct order on the mat. I tried really hard to keep the proportions between planets (more or less...). It wasn't easy, but works well for us. With 3d different size planets Mr Frog learnt easily which planet is the biggest, smallest etc. We have some Solar System books in both languages. 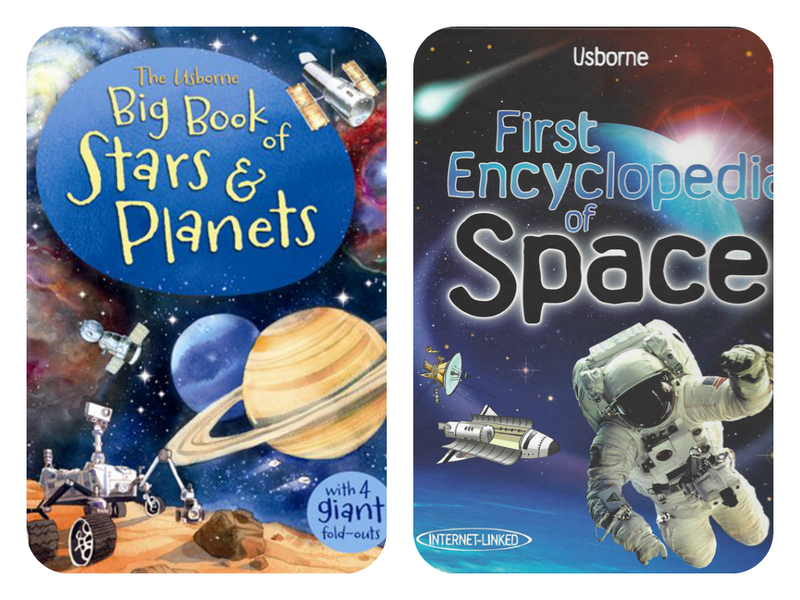 Our favourites one are Usborne books. First one is "Big book of stars and planets". 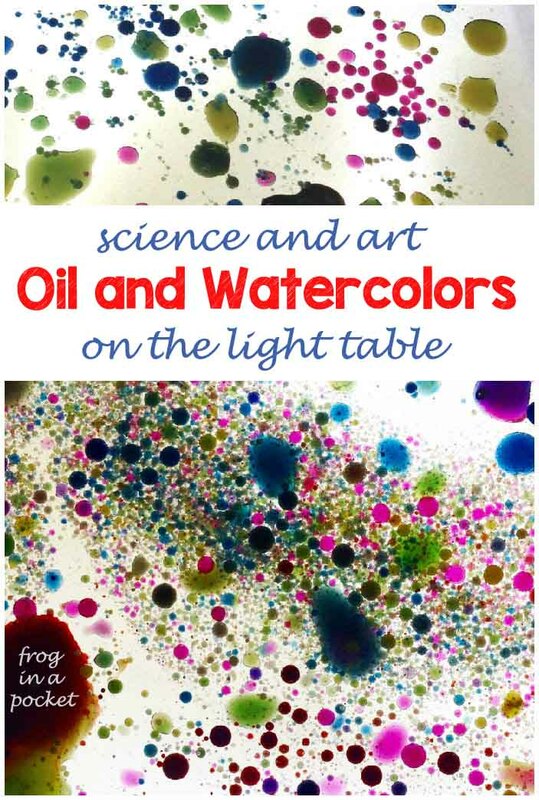 It is really good - simple and colourful and contains enough interesting facts to learn for 5 year old. Another one is Usborne's "First Encyclopedia of Space"
I really love all your play mats! Such talent! !